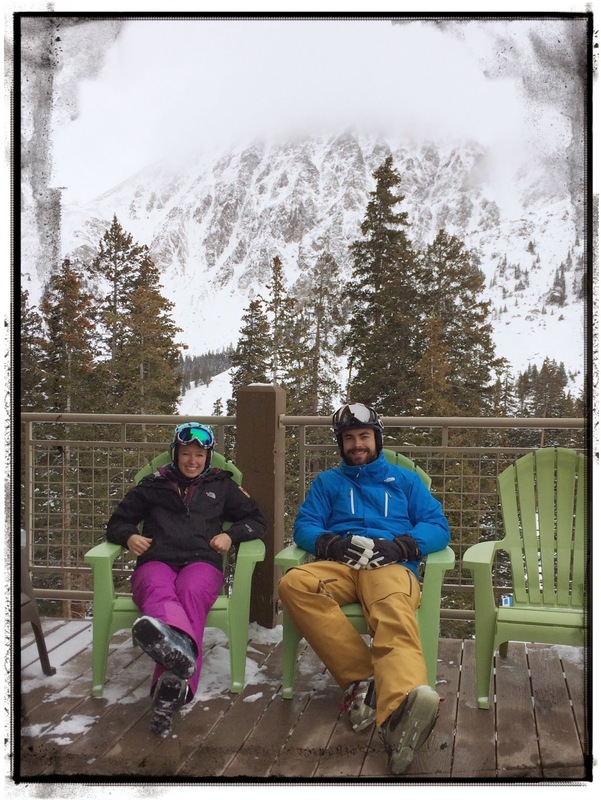 Today we decided to kick off our week of Colorado skiing at Arapahoe Basin. 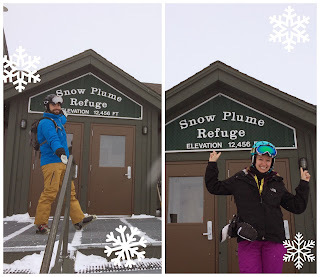 It was our first day of the season on skis and the 2nd mountain of the race. 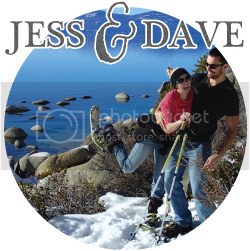 Because of the elevation of the resort, the snow was actually quite nice! They've actually been open for a month already! 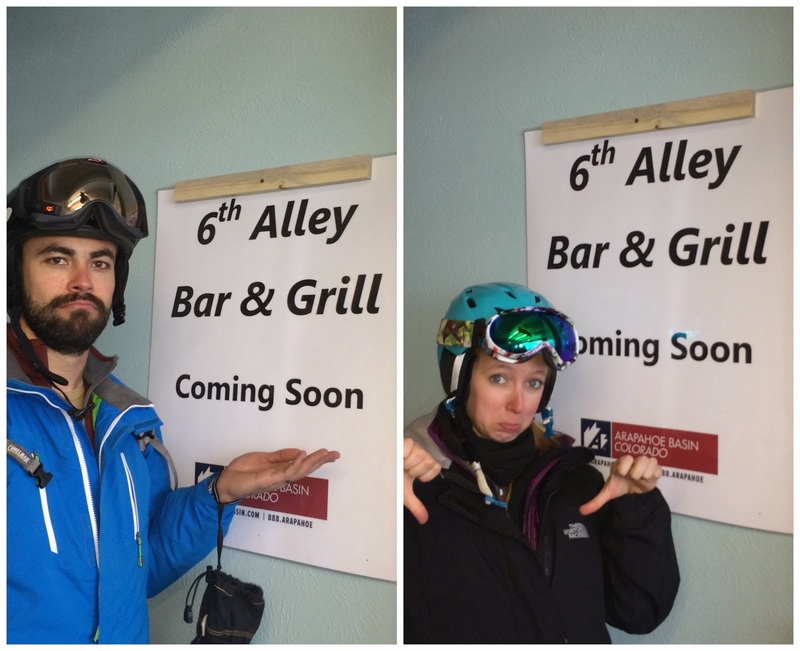 A-Basin is still "old school" and you have to actually pull your pass out to have it scanned instead of the fancy RFID tag readers so unfortunately we didn't have any vertical feet logged today in our EpicMix. A-Basin was completely socked in with clouds and the light was really flat so there wasn't much to see, but I would LOVE to come back on a clear blue sky day as I'm sure the view of the Continental Divide would be pretty spectacular. 1) The deck of Snow Plume Refuge and Patrol Headquarters. 2) Anywhere along the Cornice Run towards the East Wall. 3) Standing on the Black Mountain Lodge deck under the Continental Divide. There was such a gorgeous view even with the clouds, I can only imagine how stunning it is on a clear day! We'll definitely be back! 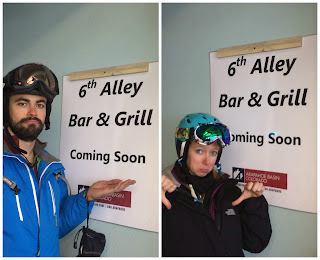 Before we left, we tried to visit one more stop on the list -- the new 6th Alley Bar & Grille. As you can see, that didn't quite work out! It was a fun day exploring a new resort and the snow was way better than we were expecting! Nice to stretch our ski legs a bit as well! Looking forward to exploring a new resort tomorrow!